Just about everyone loves Buffalo wings dipped in a blue cheese dressing. And here they are in delectable bite size! They'll be a popular snack and everything is all wrapped up in a neat little package for eating, blue cheese included. No dipping sauce required. Notes: I know the photo looks fine (and yes, they tasted fabulous), but cut your slices wider than I did. These tend to come apart when baking. You could also use ready made pizza dough to cut down on time. In a 1 cup measuring cup, heat the milk and then add the 2 tablespoons brown sugar; stir into warm milk until dissolved; place in the bowl of a stand mixer fitted with the dough hook. Add 2 1/2 cups flour and yeast to the stand mixer and mix on low speed until a soft dough forms, adding up to 1/2 cup additional flour, if necessary. Allow the dough to knead in the stand mixer for 5-7 minutes. Turn out dough onto a lightly floured surface and gently knead a few times to form a smooth ball. Place dough into a clean bowl that's been lightly oiled. Cover with plastic wrap and let rise in a draft-free place at warm room temperature until doubled and bubbles appear on surface, about 2 hours. Bake buffalo chicken bites in the preheated oven for 5-7 minutes or until the tops are lightly browned. Remove from oven (some cheese may have melted out.) and brush tops with melted butter before serving. You could make these for lunch, for dinner or perhaps a football-watching snack. Use your favorite dal type stuffing (or any stuffing at all) and have fun wrapping! I'm not a wrapping pro but these held together nicely. I practiced with paper towels. I wish my egg roll wrappers had been a bit longer, but these were all I could find at the market. They were 6 1/2 inches square. I seemed to have the best luck cutting them in two inch wide rectangular strips, giving me 2 by 6 1/2 inches to work with. The dal is a combination of recipes and I had brown lentils in the pantry, so that's what I used. Rinse the lentils well and then boil them in water until they are cooked through but still retain the shape. About 10-15 minutes. Pour the lentils in a sieve to drain and cool. Mix all the ingredients in the filling with a light hand so as to not break the lentils, put aside. Mix the wheat flour with the water. Set aside, this is the "glue". Cut the spring roll wrappers into 2-3 inch wide rectangles. Cover unused wrappers with a damp cloth while working with it so it doesn't dry out. 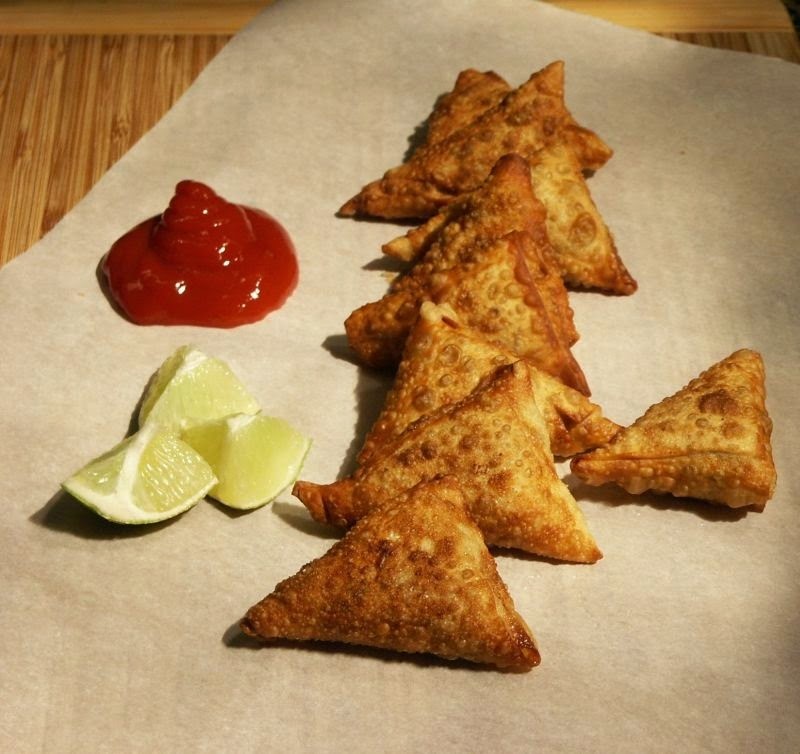 Rather than try to explain how to fold samosas, I suggest you watch the following uTube vid. Fill about 2 tbsp of filling into the triangle and pressing it down with your finger. once folded, brush the flour and water glue on the end of the pastry and fold over the top of the filled triangle to seal. It’s important that the samosa is completely sealed so oil doesn't seep into the filling while frying. If you see any openings close it with the glue mixture. Heat oil in a wok and drop the triangles in it. They are done when light golden brown. Serve with lemon wedges or ketchup. They freeze extremely well. So you can make in bulk and keep it in deep freezer and fry them in oil right out of the freezer. Do you have any of Morrison Wood's cookbooks? With a Jug of Wine was his first and my favorite. (You can still buy it used.) 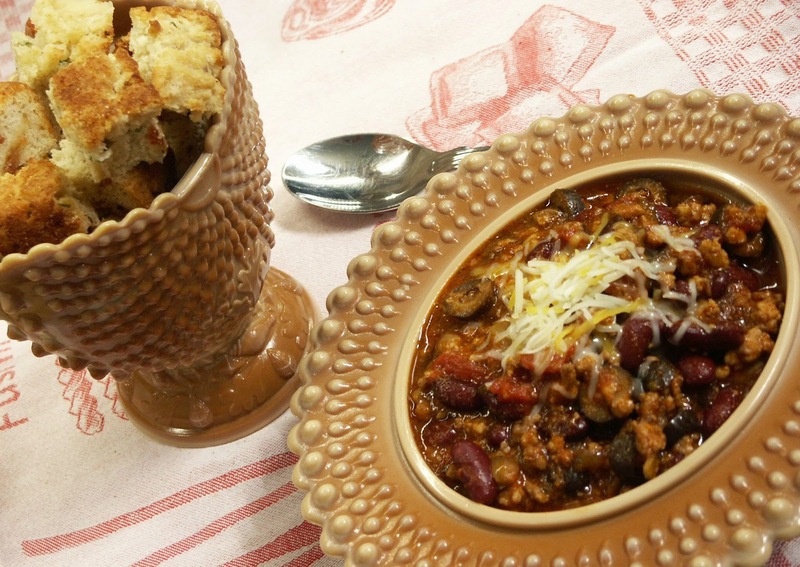 It's a gem of a cookbook and I have lots of favorite recipes in it, but was surprised I've never posted his chili recipe. I know, you all have your favorite chili, but this is the one I use. I confess, I don't even bother trying anyone else's....very unlike me. It's a very thick chili so you can add more canned tomatoes if you wish. 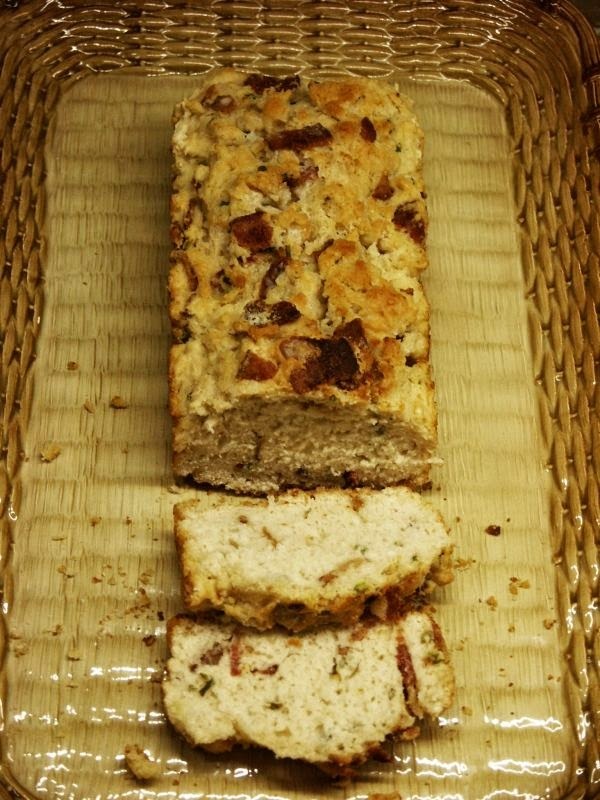 This time, I made Pastry Affair's Beer Bread to go with it....I posted the recipe last week. They are marvelous together, perfect for football watching. I mean, let's face it. 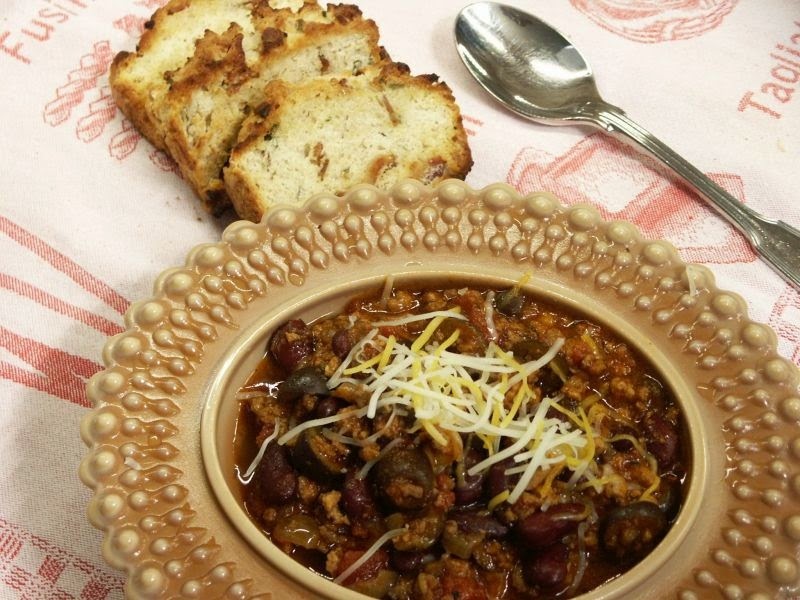 Chili-soaked beer bread? OMG. In a soup pot, brown the onions and garlic in the bacon fat. Remove onions and garlic. To the remaining bacon fat add the chili powder mixed with the flour. Stir until smooth and then add the beef and pork. Breaking it up wait until it's brown, then add the tomatoes and onions and cook gently for 20 minutes. Next add 3 bay leaves *! (I'm always careful with bay leaves. At a dinner party years ago, my SIL choked on one in the spaghetti sauce and it was a close call; she choked and couldn't breathe. Lesson learned. I now break each one into very small pieces. ), salt, oregano, red wine vinegar and brown sugar. Cover and cook slowly for 2 hours. Last of all, add the pint of ripe olives, sliced, and cook for another hour. Finally, add the lemon and lime juice and the kidney beans right before serving. 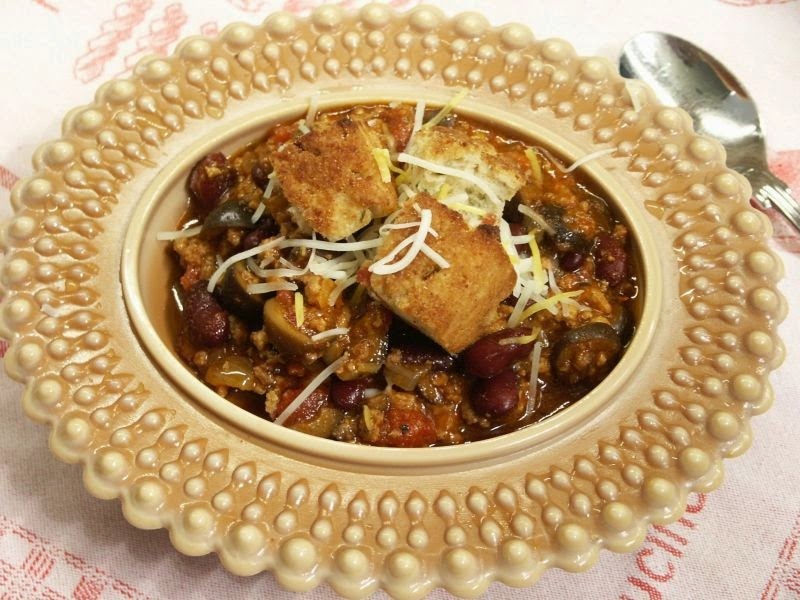 It's a thick chili; add a small can of tomatoes if you prefer it thinner. As far as this bread is concerned: YUM. And toasted, even better. I cubed and toasted some to made croutons for the chili. Or you can serve it sliced with any soup...but it should be a nice hearty soup. Easy to make and no matter how you serve it, it'll be a hit. 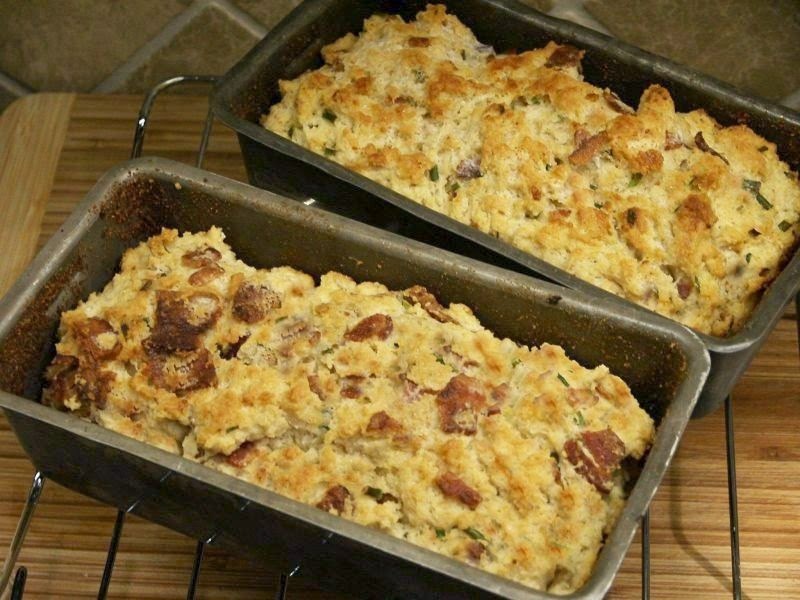 In a mixing bowl, whisk together flour, baking powder, chopped chives, salt, and crumbled bacon. Pour in beer and mix until just incorporated. The dough is very thick. Spread batter evenly in prepared baking pan. (I had to use my fingers) Pour melted butter over the top of the dough. Ready for some football snacks? Or......in this particular case, let's call this a leftovers meal: I had some egg roll wrappers in the freezer along with some hamburger. 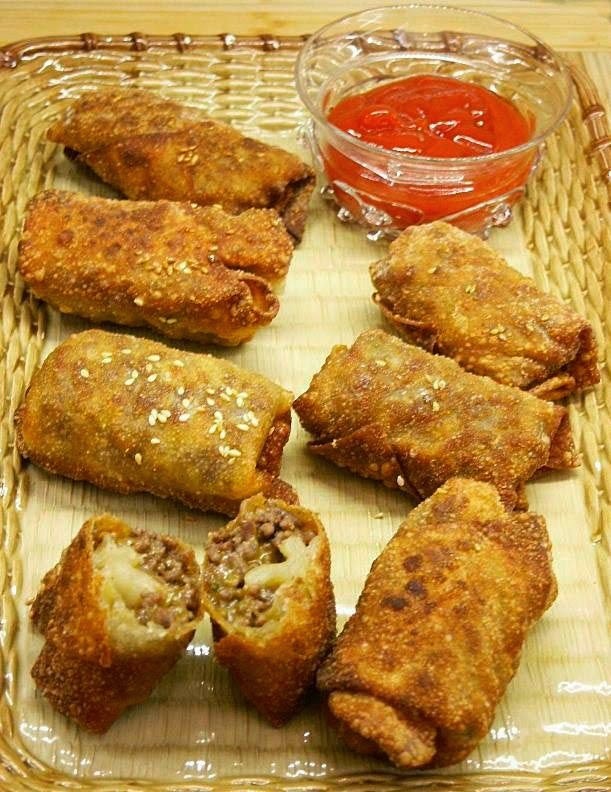 It all added up to these yummy egg rolls; you can make these healthier by baking them, I included instructions. I don't eat cheeseburgers on a regular basis, but all I needed was an excuse. Football was it. Have at it! Heat the extra-virgin olive oil in a large skillet over medium-low heat. Saute the onions until tender, about 3 minutes. Increase the heat to medium-high, and add the ground beef and cook until well browned. Drain most of the fat out of the skillet and transfer the ground beef and onions to a medium-sized mixing bowl. After cooling a little, add the Worcestershire sauce and the Cheddar cheese. Preheat the oven to 375 degrees. Place a wire baking rack inside a sheet pan. Place an egg roll wrapper on a clean work surface. Brush the edges with a little bit of water. Place 1/3 of a cup of the cheeseburger filling in the center of the wrapper and shape into a rectangle diagonally on the wrapper. Bring the points at the short ends of the rectangle in toward the center. Bring the far point on the long end of the rectangle in toward the center, and roll the wrapper to close it. Spray the top of the egg roll with nonstick spray and coat the top in sesame seeds. Place finished rolls onto a sheet pan with a wire rack arranged above sheet pan. 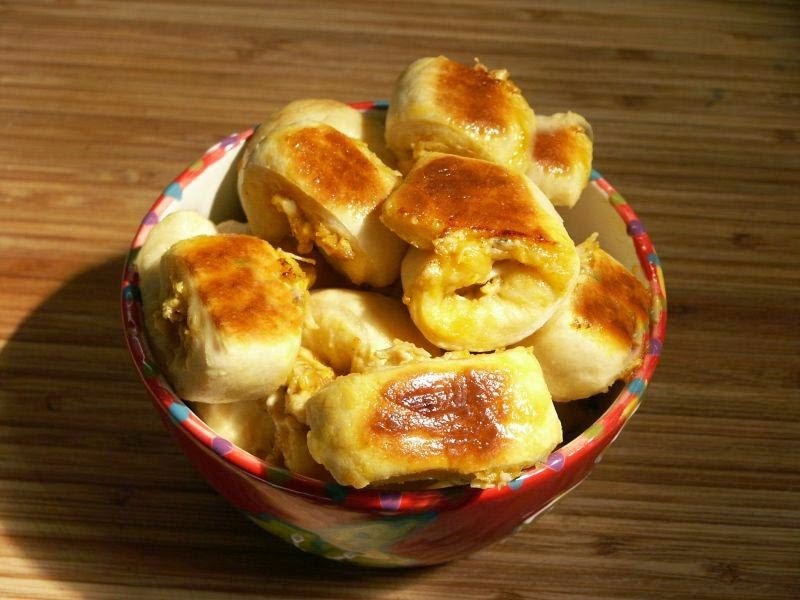 Bake for 20-25 minutes, until egg rolls start to brown. Pour canola oil into a heavy medium pot to a depth of 2-inches and heat over medium heat until temperature registers 350° F . Fry spring rolls in 2 batches, turning over halfway through, until golden brown, about 8 minutes. Serve whole, or cut in half on a bias, with ketchup or Russian dressing. My mother made barley soup for as long as I can remember and when she was no longer able to do much cooking, it was my turn to keep my parents supplied with their favorite soup. 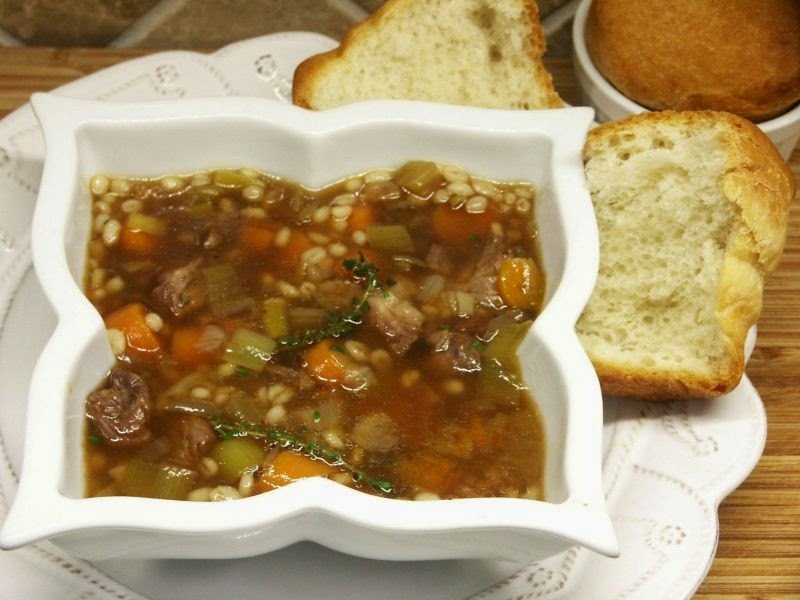 I confess, I got mighty sick of barley soup as I made it for them for many years. My sister makes a great barley soup too (she's the world's best soup maker, as you've read here many times) and while I thought I'd never, ever! make barley soup again, after reading Ina's recipe, I gave in and decided to give it one more try. So glad I did. It's an amazing recipe, better than mother's, full of flavor and freezes a dream. Please notice the bread on the side; I wrote about them last post HERE. 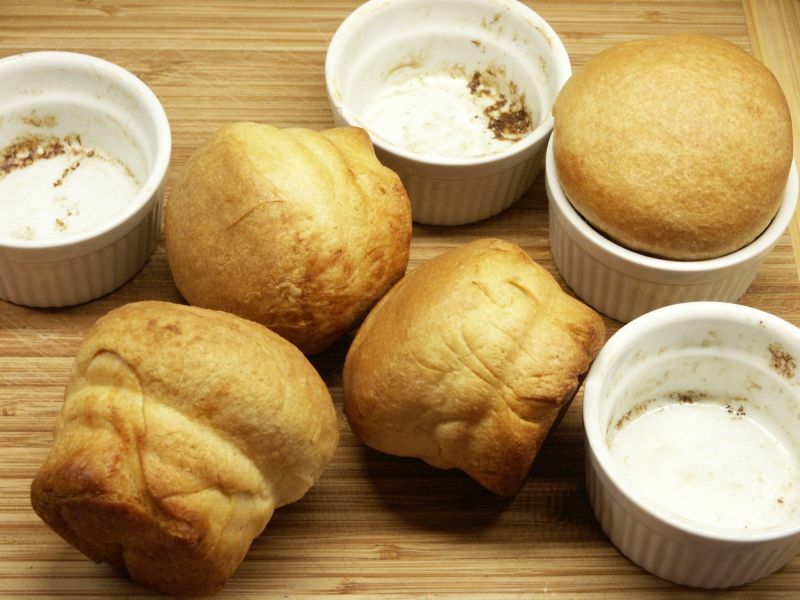 Yes, it really is yeast bread from scratch, but baked in the little ramekins. Add the leeks, carrots, onion, celery, and garlic to the fat in the pot and cook over medium heat, stirring occasionally, for 10 minutes, until the vegetables start to brown. Tie the thyme sprigs together with kitchen string and add to the pot along with the bay leaves. Return the oxtails to the pot and add the broth, 1 teaspoon of salt, and 1 teaspoon of pepper. Raise the heat and bring to a boil. Lower the heat, cover, and simmer for 1 hour. Discard the thyme bundle and the bay leaves, and skim off the fat. Pain de Mie is traditionally baked in closed molds or pans in order to minimize the amount of crust and maximize the amount of crumb, or in French, mie. Basically, it's a sandwich bread. You don't need to bake it in a Pullman type pan...but if you have one, go ahead. That's the traditional way to bake it. I originally saw this recipe on Give Me Flour, but have seen it on the King Arthur site as well. 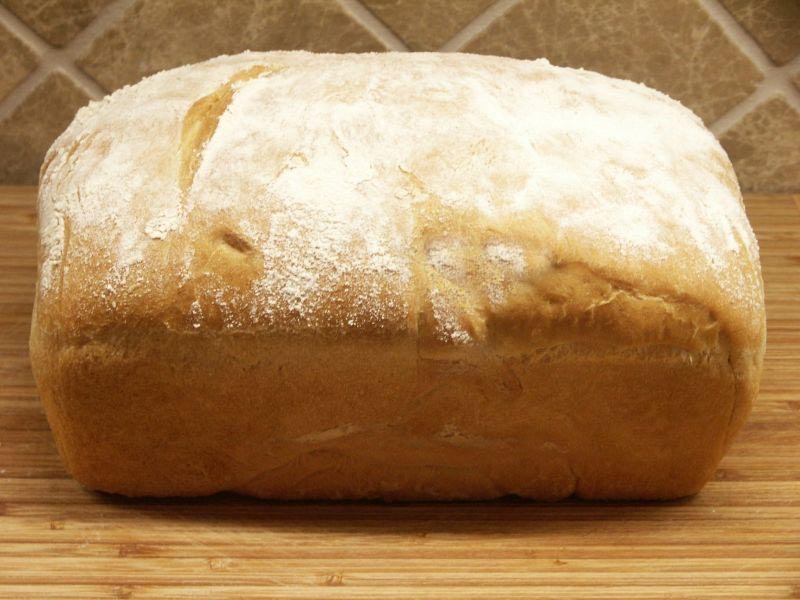 It's a lovely loaf, marvelous toasted and great for sandwiches. 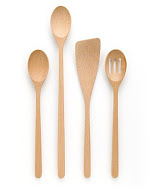 But as a bonus, I saw a very cute idea on Alexandra Cooks. She had made a lentil soup and used a basic bread recipe to make some small individual ramekins of bread. I thought it would be fun to try and they turned out perfectly. Because this recipe yields two loaves, I used half of the Pain de Mie dough to make some little "loaves". (Your favorite bread dough will work just as well.) It was such a clever and fun idea....soup, with your own little round of homemade bread. While I didn't use butter on the main loaf, I did use butter to coat the ramekins and brushed the tops with butter too. By Hand: In a large bowl, combine water, sugar, salt and olive oil. Add flour and yeast, stirring till the dough starts to leave the sides of the bowl. Transfer the dough to a lightly greased surface and knead it for 5 to 8 minutes, or until it’s smooth. Transfer the dough to a lightly greased bowl, cover and allow the dough to rise till puffy or nearly doubled, about 45 minutes (depends on the warmth of your kitchen). Mixer: Combine flour and yeast in a bowl. Add salt, sugar, olive oil and water to the mixer bowl and then add the flour and yeast. Mix on low speed with the dough hook attachment for 4 minutes and medium speed for 4 more minutes. Transfer the dough to a lightly greased bowl, cover and allow the dough to rise till puffy or nearly doubled, about 45 minutes (depends on the warmth of your kitchen). Divide the dough into two pieces, pre-shape into oblongs, cover and let it relax for 15 minutes. Lightly grease two 9 x 5-inch loaf pans. Pat the dough out, fold it over on itself, and then use the side of your hand to seal the edges. Flip the dough so the sealed edge is on the bottom. Roll the dough under your palms into a cylinder 8in long. Fit it into the pans, sprinkle some flour on top, cover with plastic wrap, and allow the dough to rise for 45 minutes to 1 hour (again, depending on the warmth of your kitchen it may rise even more slowly). 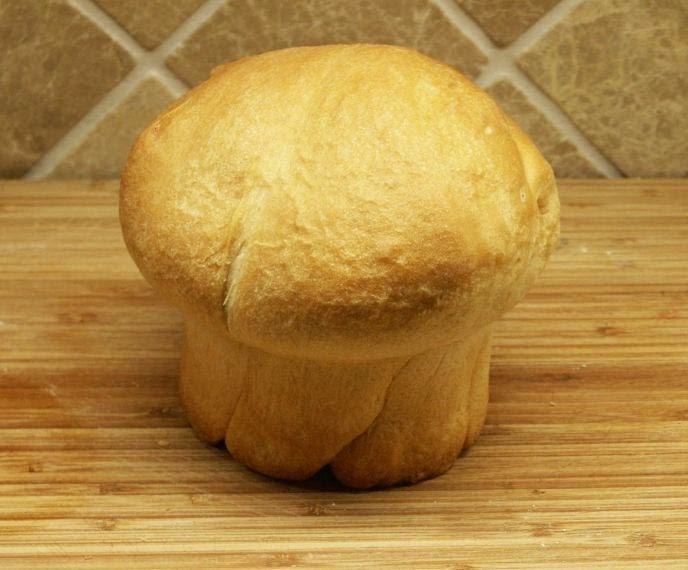 Preheat your oven to 375°F and bake the bread for 40 minutes. Remove the bread from the oven, and turn it out of the pan onto a rack to cool completely before serving. 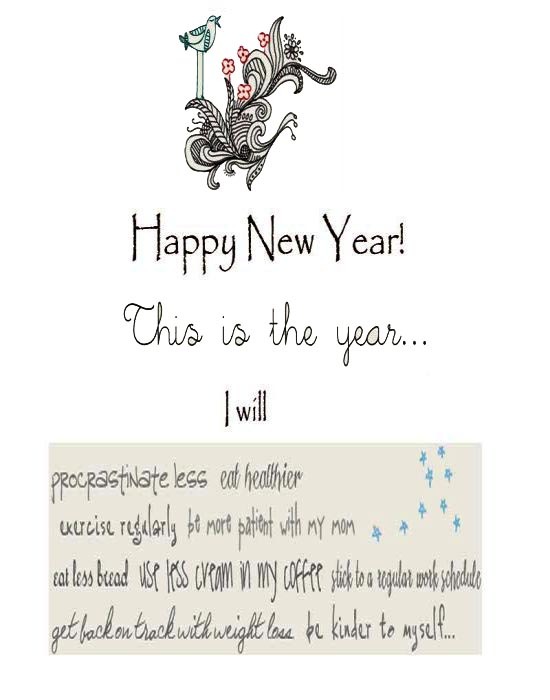 Resolutions. Do you make them? Sue from The View From the Great Island posted this marvelous salad recently and it's a winner! 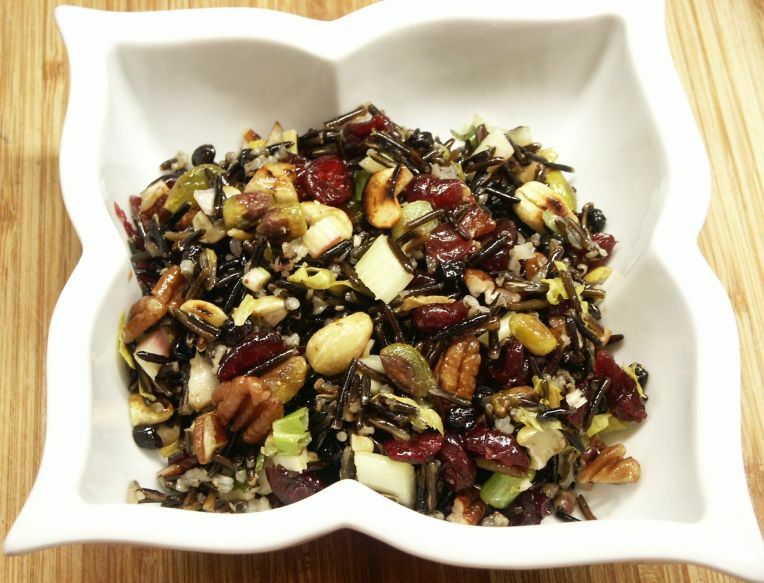 Healthy, crunchy and easy to make. Awesome start for the new year. Soak the rice in plenty of water for 8 hours. Drain and then bring a quart of water and a teaspoon of salt to a boil in a saucepan and add the rice. Bring back to a boil, lower the heat, cover, and cook for about 35-40 minutes, or just until the rice is tender. 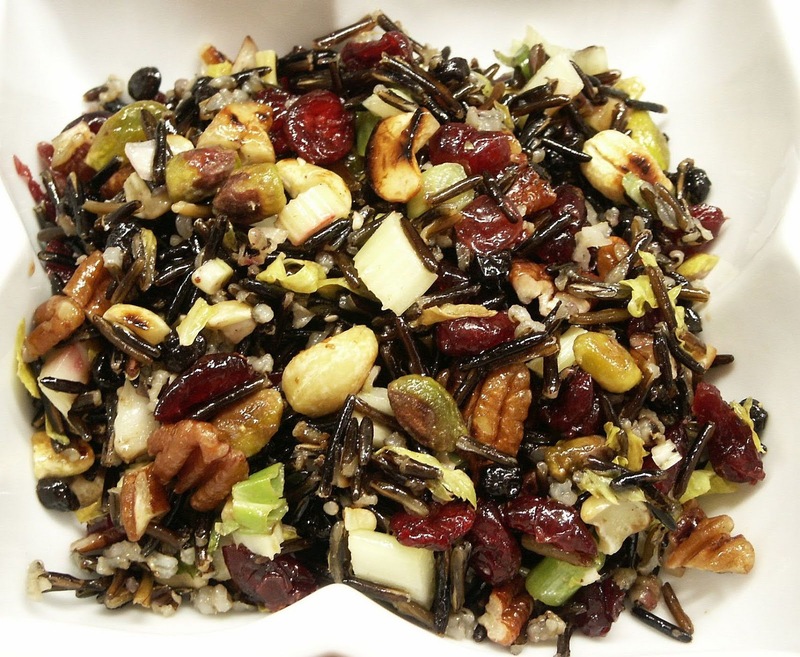 Sue suggests: wild rice will always have a little bite to it, so don't try to cook it until completely soft. While the rice is cooking, put the pecans and cashews in a large skillet and toast, them over medium heat. Let them cool before giving them a rough chop. Whisk together the dressing in a small jar. Shake it vigorously and it should emulsify. Taste it to adjust the amount of vinegar or seasonings. Toss the salad with half of the dressing, and then refrigerate until completely chilled.